If you have a list of potential concrete contractors in Raleigh NC to choose from, we’ll walk you through some factors to consider before making a pick. Don’t just accept the first contractor who promises you everything you want. Ask the right questions and you’ll soon know the best contractor to hire. What type of project do they have experience in? There are different kinds of construction projects and that’s why you need a contractor who has done the kind of work that is required for your project. Find out what the contractor’s area of specialty is. Make sure you ask about the type of concrete they specialize in. For instance, if you are looking for someone to construct a decorative concrete for your patio, make sure they are able to provide you with details of previous work. How would you feel if the contractor you hired is nowhere to be found after completing the project and issues arise? It’s very important to do business with a company that has been in the industry for a period of time. At least then you can be guaranteed that you know where to find them in case any issues arise with the project in future. Find out what type of insurance the contractors have. Insurance is vital since it protects you and your property in the event of any issues that may occur during the project. Make sure they have minimum liability coverage as well as workers compensation insurance. Performance guarantees are very critical in construction projects because they ensure you get value for money. In the event of an issue, you can be sure that the concrete contractor will stand behind his work. Find out if they will clean up after the project and whether they can repair any damages they have made when conducting the concrete work. 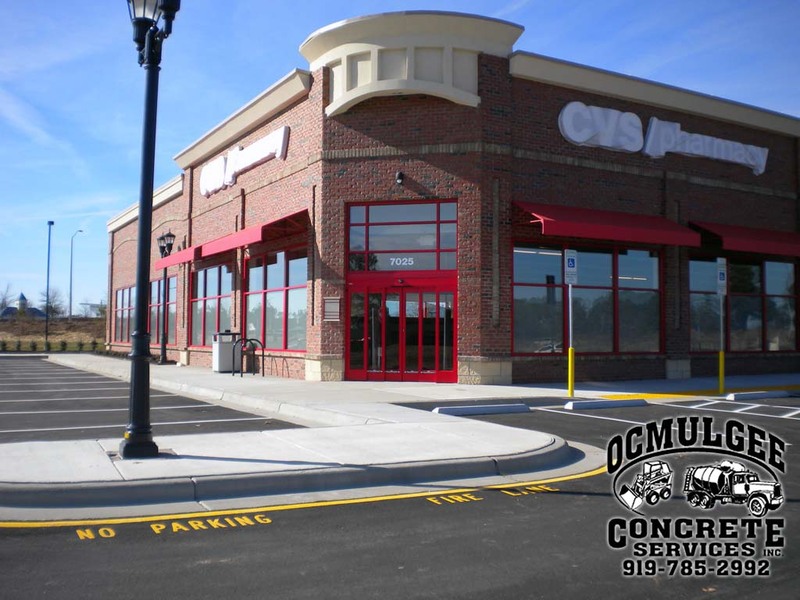 For a reputable concrete contractor in the Triangle area, get in touch with http://ocmulgeeconcreteservices.com. A good concrete contractor will not have any issues giving you details of their previous work. Make sure you get work they’ve done not more than 5 years ago. The newer projects will give you a better idea of the contractor’s capabilities. When you get in touch with their previous customers, ask about the contractors’ level of professionalism as well as the durability of the finished projects. If the customers have great things to say about the contractor, you should consider hiring him. Concrete is versatile and you can make a variety of designs from it. Unlike other decking materials, concrete decking can be custom made to fit any design and to look like stone pavers, concrete pavers and even ceramic pavers. The fluid nature of concrete before it cures allows it to be formed into any shape. Along with stamping and coloring techniques, it can be finished off with a variety of patterns and colors to make it look more attractive and unique. You can have the concrete deck designed to perfectly complement your homes exterior. Concrete worked as a decking material for so many years because of its durability. Concrete only gets better with time. The longer it cures, the harder and stringer it becomes making it resistant to most elements of damage such as weather, insect damage and even mechanical damage form heavy foot traffic. With concrete decking, you do not have to worry about heavy outdoor furniture ruining your lovely deck. Stamped concrete lasts longer than any other kind of masonry installation. Contact concrete finishing experts in Raleigh for more info. If you are looking for a decking material that requires the least maintenance possible then concrete deck is the way to go. Concrete decks require almost no maintenance at all. All you need to do to clean the deck is to hose it down with a water pipe. The solid surface also prevents grass and weeds from sprouting in between the pavers compared to other decking materials. Maintaining concrete decks is as easy as installing them. No other decking material gives you a great value for cash as concrete decking. Just from the same batch of concrete, you can come up with numerous patterns and designs. With little maintenance required, you will hardly spend any more on the concrete after it is installed. It is not only durable but also much cheaper as compared to the other decking materials. 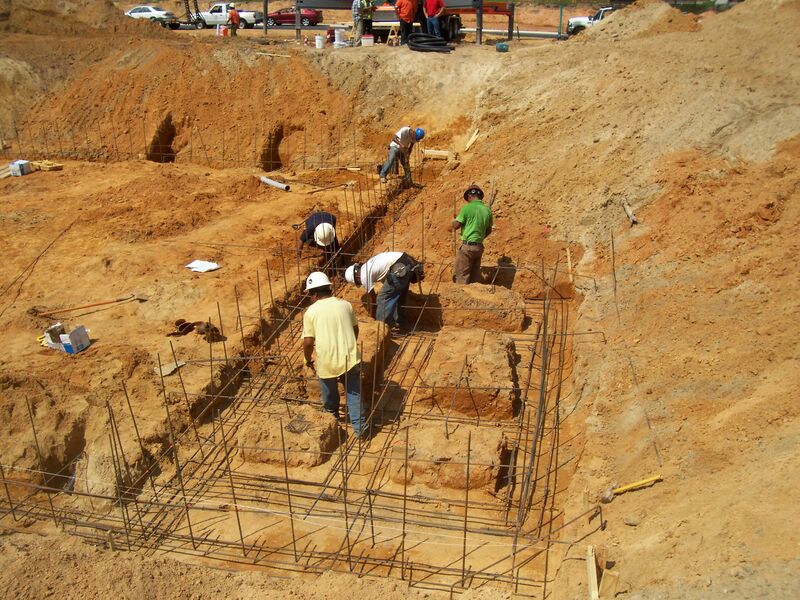 Get in touch with the best concrete contractor in Raleigh for your next building project! Concrete is one of the most versatile construction materials that offer quite a number of finishes in application. Over the past couple of years, there has been an increase in demand for concrete flooring due to the great work done by concrete finishers in creating amazing designs out of concrete. If you have a concrete flooring plan for your house, it is advisable to choose a great concrete finisher to work with. Hiring good concrete finisher allows you to enjoy the type of good quality concrete finishing that you want for your home. 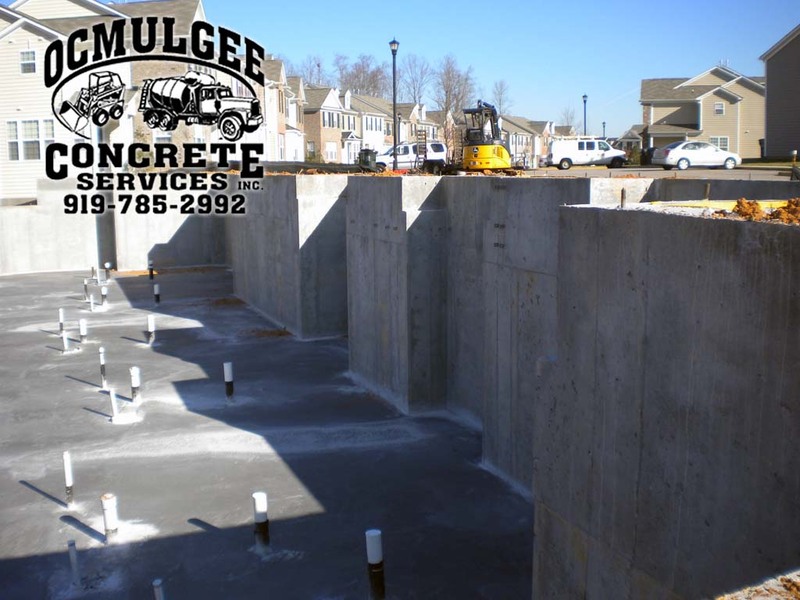 In order for concrete to look as good and last as long as it does, you will need a good contractor on the job. When it comes to working with concrete, there are specialists at different stages of the concrete forming process. For the best results, it is advisable to work with contractors who specialize in concrete finishing rather than general concrete contractors. They have a lot of experience and expertise and often have a lot to offer in options to their clients. They can also easily work around the common challenges and issues that come up while finishing concrete without a hassle. As discussed earlier, the possibilities are almost limitless when working with concrete. It can be formed or molded into any shape or pattern to suit your style. Concrete can also be stained into different colors. The concrete forming finishing company that you choose should have a large gallery of work they have done with different concrete projects. A company that offers to do custom designs is also working looking into as they can create designs that fit your personal tastes. The concrete finishing company should offer some kind of guarantee for the quality of work that they do. If they can do a good job, they should have no problem in giving guarantees for the concrete project. Choose a concrete company that is well equipped with a good team. The concrete contractor in Raleigh should be able to work within given timelines and this is only possible if they have the team for the job. Concrete needs time to cure and the finishing work should be done in good time after pouring for the best finish. 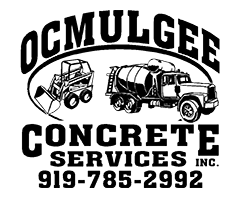 Get in touch with Ocmulgee Concrete and work with the best concrete finishers in the Triangle area! 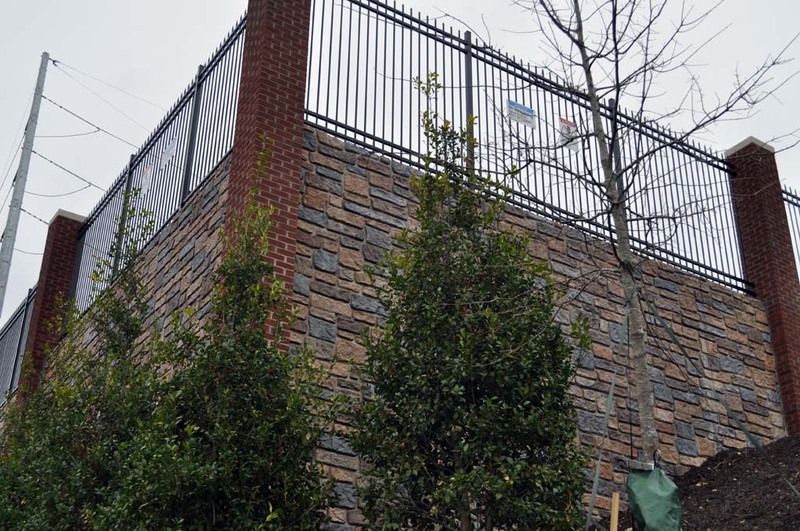 When it comes to specialty concrete products in Raleigh NC, it is always advisable to outsource to professional commercial contractors who specialize in that service. Specialty concrete contracts can construct products for concrete application in new and existing concrete renovations. These contractors have specialized skills in specific concrete construction making them the best professionals to call when you want to deliver what your clients expect. Stamped concrete is currently the most sought after product in decorative concrete construction for commercial projects. Stamped concrete can be used in parking lots, walkways and driveways among other applications. Specialty concrete contractors construct stamped concrete by pouring concrete on the construction area, then adding the texture, patterns and pigments to the concrete before it dries. The stamped concrete can be designed to look like other paving materials such as bricks, cobblestones and pavers among others. Stamped concrete is a great choice when you cannot use traditional paving materials such as cobblestones, bricks or pavers. This often depends on how you want the area to be set up and the original surface material. When you want everything well laid out and structured, stamped concrete is the best option especially when remodeling uneven surfaces. The problem with normal pavers is that they spread out over time, unlike the stamped concrete, which provides a flat and well-put-together appearance. Besides its great appearance, stamped concrete is a highly economical material. When it comes to large-scale commercial construction projects, it is advisable to choose a material that fits well into the budget without affecting other parts of the construction. It is perfect when giving commercial buildings a new look with slight renovations to the concrete. Get more details here. During constructions, stamped concrete does not leave any gaps like traditional pavers. The construction process is fast and requires fewer hands on deck as compared to traditional paving construction using pavers or cobblestones. You will spend much less on outsourcing stamped concrete construction than any other project. The seamless concrete construction is also easy to maintain. The cleaning process is quite simple and the paving is less vulnerable to damage that often stems from the gaps in between the pavers. Finally, stamped concrete is highly durable. It is weather resistant and handles extreme temperatures very well. The water damage caused by water seeping through the seams of the pavement is no longer a concern when it comes to stamped concrete construction. For top-quality stamped concrete in Raleigh NC, get in touch with us here at Ocmulgee Concrete Services.